2nd Timothy 4:7-8 I have fought the good fight. I have finished the race. I have kept the faith. Now, there is in store for me the crown of righteousness which the Lord , the righteous Judge will award to me on that day–and not only to me, but also to all who have longed for his appearing. This scripture has a lot of meaning to me. First, it is how I would have described my mother and her life in Christ. This was read at her funeral, just a few 3 1/2 years ago. I still miss her every day, but I know that when I am taken to heaven one way or the other, I will see my parents and so many who have gone before me. If she has not already laid her crown at Jesus’ feet, she will be wearing it and because I too long for His appearing in that day, I will be given one–still that is not exactly the righteousness I want to talk about tonight. The Holy Word talks about righteousness a great deal, going all the way back to Genesis, when He God credited it (faith) to him as righteousness. 1st Samuel says the Lord rewards every man for his righteousness and this is the way the world will be judged–in righteousness. So what exactly is righteous? Webster’s dictionary says it is acting or behaving in accordance with what is just, honorable, and free from guilt or wrong. then it adds the words virtuous, noble, moral, ethical. I would disagree a bit with that definition in light of what God says about it. Because I have personally known people that were perhaps virtuous, but not exactly what I would call sterling character. So maybe Webster’s is a little off too. I think you can be ethical, moral, noble and even virtuous without any relationship with God our Father. I know people who are tremendously good people who are all those things but without a Savior. But still what is this righteousness? Well it is described as Robes of Righteousness and also a necklace of Righteousness which can become tarnished because of lack of obedience. Faith is also credited as righteousness. He credited Abel, Enoch, Noah, Abraham that by their faith, became heirs of righteousness that comes by faith. 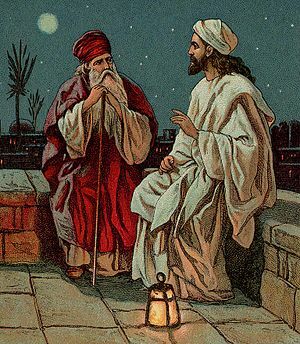 Then Issac, Jacob, Joseph, Moses’ parents, Moses, the prostitute Rahab, and even more with Gideon, Samuel, David, the prophets–they too were credited by their faith to righteousness. And so then I must ask what is faith? Hebrews 11:1 gives us the perfect definition. Faith is being sure of what we hope for and certain of what we do not see. So I see a pattern. Do you? Faith which leads to obedience and obedience which leads to holiness and holiness to righteousness which is defined by us as the Lord’s Righteousness, The robes of Righteousness, and the Righteousness that has been credited to me because of my faith! I’d call that a perfect circle, a double whammy! The more you do, the more you do. And that is true for me, the more you study God’s Word and talk with Him, the more you want to. I used to wonder what anyone could pray about to God for a whole night. Now I know. I told someone earlier tonight that until the last 2-3 years, I thought I could choose when to be obedient and when to pursue holiness, but it doesn’t work like that! When you give your heart to Jesus, He is going to uphold His part of the covenant. That part is to refine you like gold and make you ready for heaven. So no, you don’t get to choose, once you’ve made the choice for HIM, eventually He will get you in a place where you can’t do anything but obey Him and once you are, you’ll find it rather pleasant, because His burden is light, remember, and then it is so easy to start pursuing holiness, excellence, faith. I read a post this week by a young man named Chris Vennard. 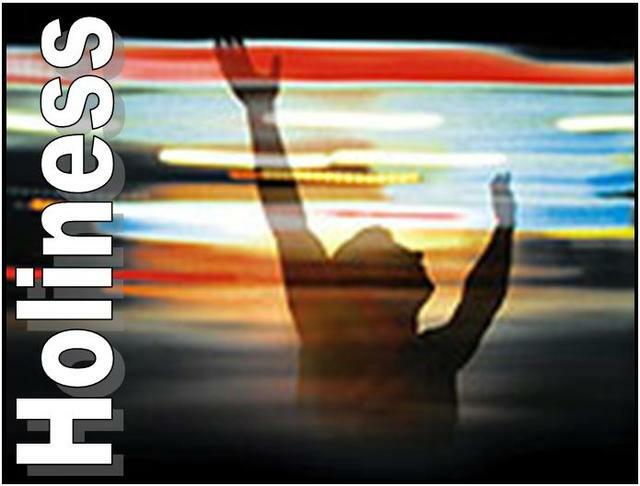 Struggling for holiness–Our problem is that our attitude towards sin and our victory over it is what we are commanded to do. So we look….and never do find it (that we should ). but it is right there for us. First let’s look at Romans 6:16 “Don’t you know that when you offer yourselves to someone to obey him as slaves, your’re slaves to the one whom you obey–whether you are sins to sin, which leads to death, or to OBEDIENCE which leads to RIGHTEOUSNESS? and then in 2 Cor 7:1 let us purify ourselves from everything that contaminates body and spirit, perfecting HOLINESS out of reverence for God. Could it be our problem that our attitude towards sin and our victory over it is not what we are concerned about? I mean, we all are sinners, going to be sinners until the day we see Jesus. 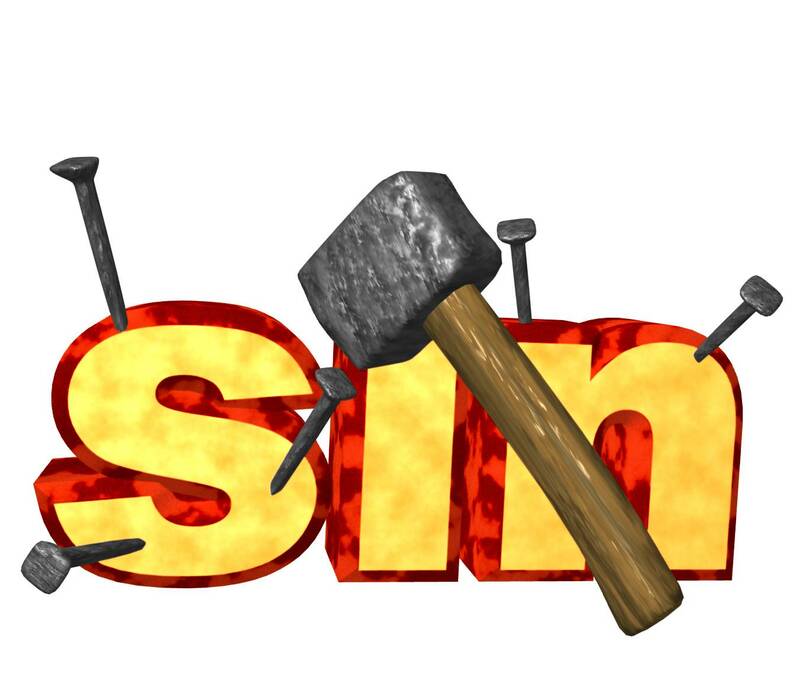 So we try to a degree to not do the overt horrible sins…perhaps never thinking that God, our Creator, our Father, our Deliverer might consider that sin is sin is sin; that there is no “good” sin and then ‘really bad’ sin; that any sin at all is repugnant to Him because He is HOLY. Do we not know that our sins grieve the heart of God? We are a success-oriented people so we don’t want to fail in our struggle, not because we know it is offensive to God, but because of our image of our success. God wants us to walk in obedience-not victory, victory is a by product. We do not take some sin seriously. We categorize some as unacceptable, some as tolerated. But that is not what His Word says. Even in the Old Testament, in 1st Samuel 15:22 God said to obey is better than sacrifice, and in those days, sacrifice was necessary for forgiveness of your sins! So how could it be Better? Obedience is better because if one is living in obedience, there isn’t the need for sacrifice! Wait, Cindy, everyone sins! yes! But the SACRIFICE has been made; the DEBT has been paid. What is left but obedience to the Lord’s laws and ways? If obedience were not still important, then why is it spoken of so many times in the Word? Lot’s of times promises are given, that if you are obedient, then I will do this for you. Obedience is important to God. And there is no choice in the matter-I knew this instinctively at age 9 when I told Him He couldn’t tell me what to do any more than my daddy. But eleven years later, I gave HIM that right to tell me what to do. I thought I got to pick and choose what it was that I wanted to be obedient about!! HA! He’s let me think that for far too long! I know now that I have to be obedient in all things if I am obedient in one thing!! and that is very very hard? How can I do that? Of course, only by His Power, His Grace-not mine. And if Obedience leads to Righteousness which leads to Holiness…then He does have a plan to make that happen as they are intertwined-separate, but intertwined. That’s the part, that when you and I get there, He will be there to lead us to the next thing and the next thing, because He has a plan. His plans have always worked better than mine. His have been made since before the foundation of the earth. His are made knowing past, present, and future and everything that will impact those times. Whereas if I went by my plan which if I try for one day to have a plan and it gets off kilter for one reason or another, I am supposed to base my whole life and my eternity on this? I don’t think so. I have given it to the One Who Holds It All In His Hand-Who Keeps All Things (such as atoms) Together By His Very Thought. 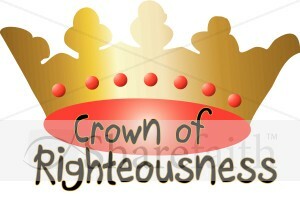 I am ok with being obedient to such a One as this, Who has told me that I will be His Righteousness. I am to answer the next 10 questions and then list nominate at least 5 min, 10 max bloggers that I appreciate or have been especially encouraging to me. So to those bloggers you will do the same. 2. What is my favorite animal? my Yorkshire terrier of course! 4. Do I prefer Facebook or Twitter? I am 60, need you ask? 6. Do I prefer giving or getting presents? I love to give-I can’t take anything with me after all. 10. What is my passion? That’s easy! To know Jesus Christ in all of His Fullness and to share that with whomever the Father brings to me. of course writing about it all is pretty obessive too. A NEW AWARD!! 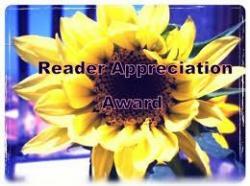 READER APPRECIATION!! God IS NOT FINISHED WITH YOU YET! He loved you before you were, He loved you as you were, and now He loves as you are! “Born Again” is one of those descriptions used lately rather derisively. Recently I was asked if I attributed my attitude, my appearance, my ability to seemingly come back over and over again, to being “born again.” In this particular case, I don’t believe my questioner was being derisive, simply curious. He was one of my new doctors and he listened to me tell my story over the course of one hour in his office! It all started with the question-as it usually does. In fact my husband and I looked at each other as the question was being asked. He smiled at me because he knew exactly what was coming. This is exactly the kind of opportunity that comes my way every day in some way or the other. Now vs when I was younger in years and always running 100 miles/minute, I just seem to be more aware. Of course, the fact is my voice is controlled by the Lord since He gave it back to me in October ’06 and so He can speak anytime, anywhere with His voice. He sends prepared hearts because He knows I will open my mouth to speak His words. IT’S 12:03 AM AND WHERE SHOULD I BE? I hope that anyone who knows me would say I belong in bed right now! I agree! I was! But then this little problem I have with coughing and asthma has decided to interrupt my sleep tonight. It is not so bad that I think I am in trouble, but bad enough for using my nebulizer–so here I sit. I had been disappointed that earlier I hadn’t had time to post tonight and I have so very much to be thankful about this week and today–so I am glad for this opportunity regardless of the reason. Today was the most awesome day! It was sharing day –the last day of our Bible study class until next September. This is the day when different women from different groups get up and tell the rest of us what God has taught them or done for them this past year. Oh I did want to speak this year! But I had spoken last year-so it was important to give this time to others. It really was glorious hearing about the miracles that God is doing everywhere. And how a woman had prayed for her husband salvation for over 40 years to see him come to Jesus! Thank goodness she never gave up! After the 2hour session, we went to our group leader’s home for fellowship-lunch.This time I was asked to share what was going on with me–I do think I have an exciting job-as a recruiter, I have a chance to make a positive difference in someone’s life every day. I also get to share Jesus so many times. God sends me prepared hearts because He knows I will share His Good News with them. I got to do that every day this week. I also just simply had a good week hunting as I call it. And then yesterday, I spent the day with my client who was in town for a few days of vacation. She asked me if I could take off a day. I said, well, you hired me to search for your company. That sort of makes you my boss. Can I take the the day off, I asked her? So we spent the day at the beach-of course talked business but inline with how I do it it with the Lord. It was a wonderful time. Somebody who likes hearing my stories! We will see what tomorrow will bring- now I am going to try and go back to bed.